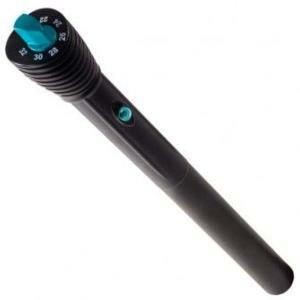 A completely submersible aquarium heater. Made with high performance heating elements, it guarantees operation in complete safety, thanks to the tube with high mechanical and thermal resistance. Maximum precision during operating is ensured by a micro-processor for electronic control of the set temperature. A Bi-Colour LED shows the current status and function of the Heater.Quick and easy temperature setting, thanks to a temperature indicator on the upper cap. 1) Temperature indicator for easy temperature setting and reading. 2) Diagnostics of operation and electronic control of the set temperature. 4) Tube with high mechanical and thermal resistance.